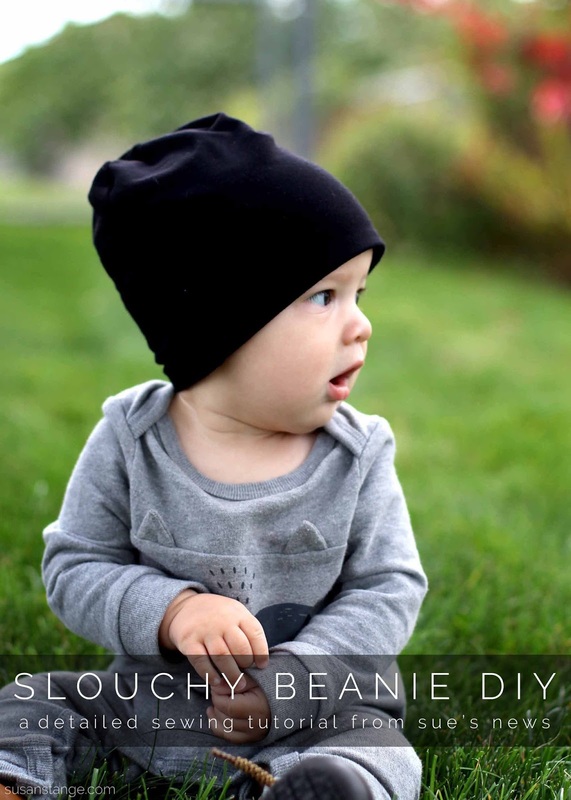 The following statement is 100% true: Slouchy beanies are the reason I wanted a baby boy. 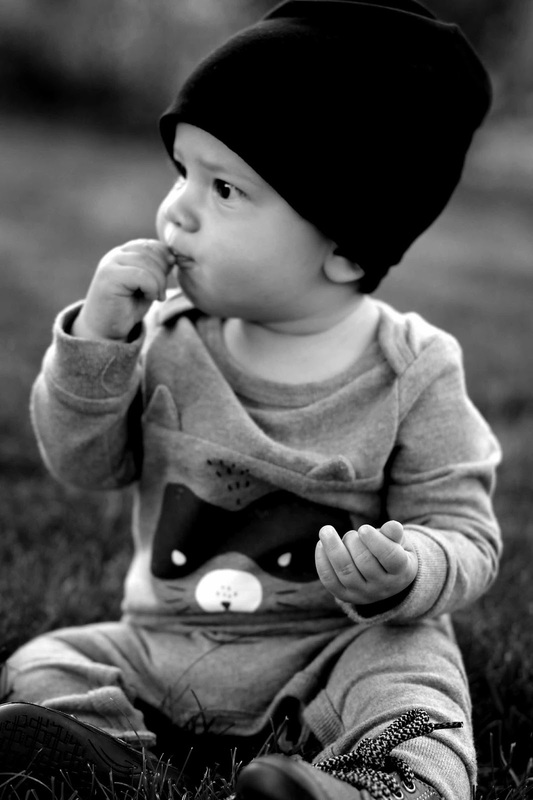 ;) That's not to say that girls can't wear slouchy beanies, but there's just something so juicy about a baby boy in a slouchy beanie, amiright? 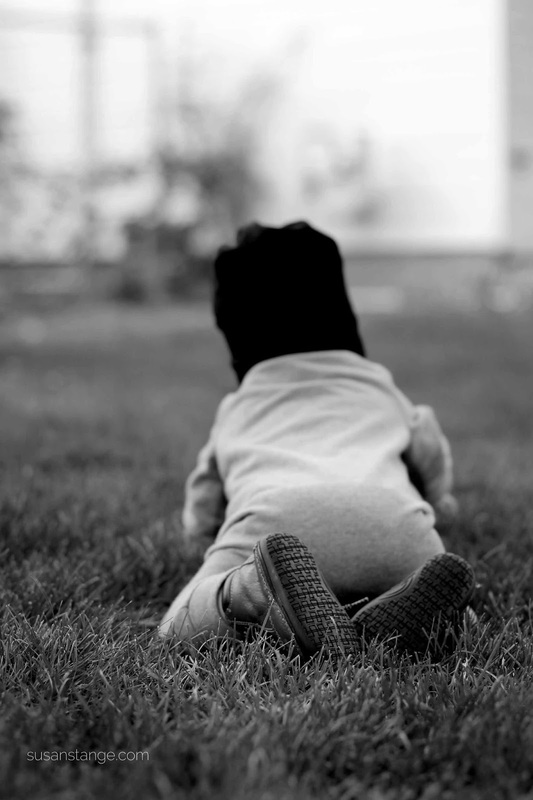 As soon as fall time rolled around, I was more than ready to buy him one online, but then I do what I normally do and decided to make it myself, and you know what? It was SEW easy! And now I'm going to share how I did it with you so you can make the world a better place for anyone who sees your adorable babe wearing one of these! *if you're not a sewer, stick around, because you're not going to want to miss the announcement at the end! Basically, I used a fitted beanie that I already had and lengthened it a couple of inches. Just have confidence and be grateful this isn't a HUGE investment in fabric money! 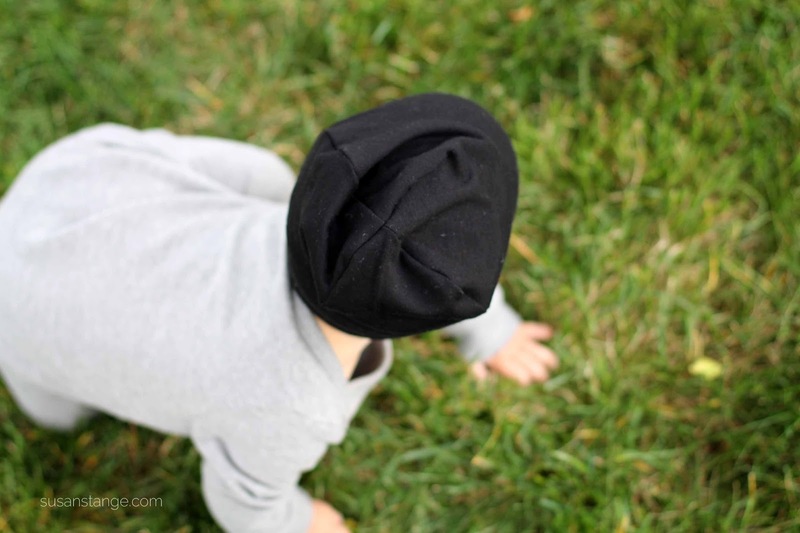 *The key to making these slouchy beanies is the type of fabric you use. Find a nice, thick, soft, stretchy knit. I'm pretty sure I used a cotton spandex knit. Use your pattern beanie (the one you already have) and lay it out on your fabric. Cut around the bottom and sides of the beanie with a half inch buffer (this is called seam allowance). If you're using a regular sized beanie, extend a couple of inches (about three or 4). Shape the top of the piece you're cutting out like in the picture above. 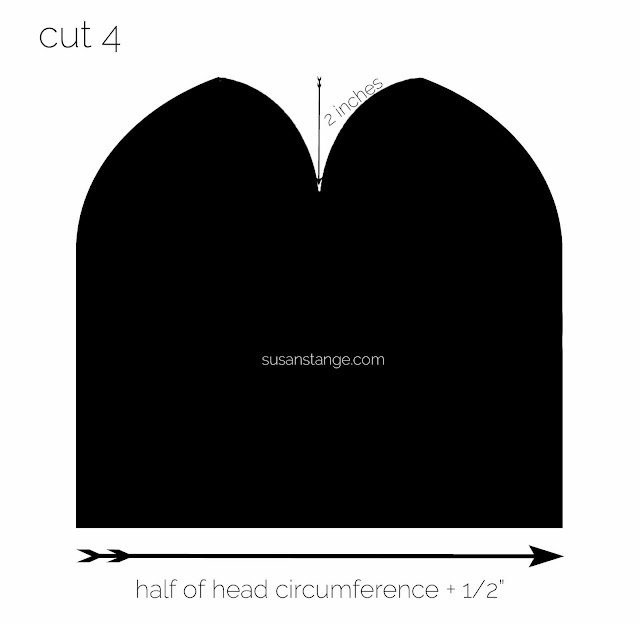 Find the center of the beanie piece and cut a 2-inch heart-point, like in the picture above. Cut out four of these pieces. Pin two beanie pieces together around the sides up to the peaks at the top with right-sides-together. Use a straight stitch with a 1/4" seam allowance to stitch the sides*. 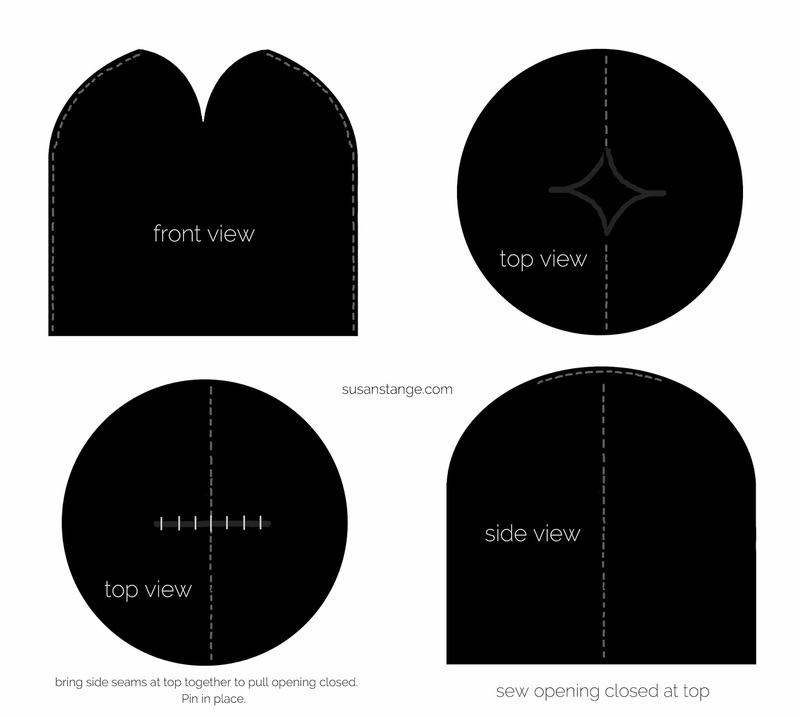 Next, bring the side seams at the top (peaks) together to pull the opening closed. Pin in place, and sew the opening closed with a 1/4" seam allowance. Repeat with the other two beanie pieces. *to promote good stretch in your beanie, lower the tension of your thread in your machine. Reach into that tiny opening you made and pull all the fabric out so that the whole beanie is right-side-out. Tuck the interior of the beanie inside the exterior, pin the opening closed and sew. One of my lucky Instagram and Facebook followers will receive not one, but TWO of these 6-9 month size beanies for... FREE!!! That's right friends! One for you and one for a friend! So hop on over to my Instagram and/or Facebook to see how to enter!